The Deluxe Individual Kit is designed to allow any curious explorer to perform microscopy experiments anywhere at any time. This kit includes one Foldscope (140x, 2um resolution microscope) in a portable and sturdy metal case including a plethora of tools for collecting samples, processing samples, preparing slides and directly collecting data on any cellphone - all possible while working in field settings! Shipping Dimension & Weight: 11 x 6 x 2 inches, 1.12lbs. 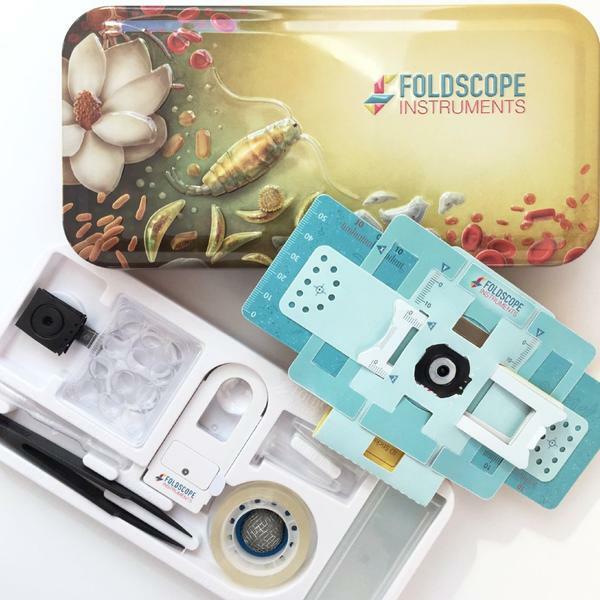 * By purchasing this product, you directly support the mission and enable the ability to bring Foldscope to communities that often do not have the means to engage in science - both locally and globally.